Intelligent cities are founded on intelligent data. And definitely so is a nation. The Fourth Industrial Revolution or Industry 4.0 goes beyond automation, which already occurred in the Third Industrial Revolution. But much ado is given to automation when the real spirit of this era is data. Data are fed to machines to make them intelligent, useful, inter-operable, data that can transform systems to real life solutions. We may have already produced workers adept in automation for many years now, but not in handling and making sense of big data. That is one of our biggest challenges today as a country – the dearth of intelligent, aggregated, relevant and accessible data. Unfortunately, this problem created more problems – worst in the list is the propagation of wrong, senseless, misleading, confusing, and obsolete data as hard facts and news. Recently, a local newspaper quoted an incumbent provincial governor, reporting to all stakeholders in her capacity as chair of the Regional Development Council of Western Visayas – that the ICT jobs in Bacolod and Negros Occidental are 5,402. These figures date back to 2008 or a decade ago. The number had since then grew to almost 30,000 today. A classic example of disoriented data. Sadly, data for official presentations like this usually come from NEDA or the National Economic and Development Authority (NEDA) – an agency of government that is material to growing the economy of this country. How do we begin to fix things? Definitely not by blaming each other. We need to shift our thinking about data and embrace that fact that the existence of intelligent data systems is crucial to our economic growth. Each one of us is responsible for our own data. Everyday on a regular basis every human being generate data in different platforms. We fill out forms for various purposes such as when we apply for business license, enrol in the school, enter a particular country, register for an event, enlist for a project or program or even sample a product. Did we ever wonder where all this data go? Did we ever wonder how all this data when collated can actually generate a lot of insights for people who make key decisions for us to understand what we need or to understand what needs to be done. Government for example is probably the biggest repository of data in this country – from our birth records to our death records – they have it. Have we ever seen all these data being put to good use in developing policies and strategies to better our lives as citizens. Have these institutions consciously shared these data in big data format to help organisations attract jobs and investments? These are some of the more important questions we ask as people who care about our society. Why ask? Because many institutions are not only abusing our data, they are withholding them without realising that they jeopardise policy innovation and economic growth, such as by allowing the dearth of structured data for business intelligence.And it’s about time we demand. Bacolod celebrates tomorrow June 18, 2018 its 80th charter anniversary. Commonwealth Act No. 326 was signed by President Manuel L. Quezon on June 18, 1938. Now that we are 80, the cities expected to be one of the smartest cities in terms of big data. But that is not the case. 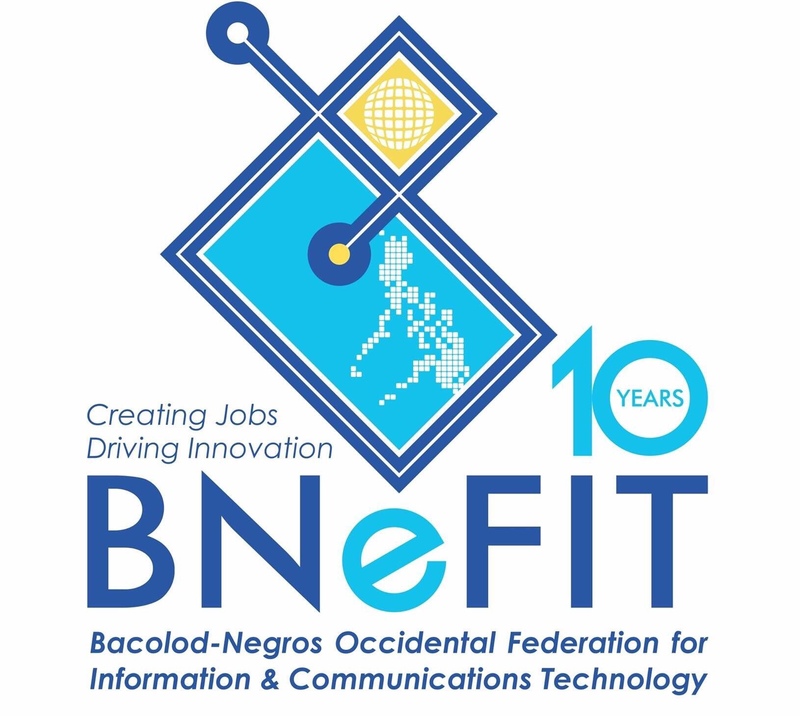 I have never spoken about this publicly since I started my advocacy to help generate ICT-enabled jobs in Bacolod in 2004 – but today it is worth discussing as we reached 80 years as a city. How many of the more than half a million Bacolodnons actually know what goes into a formal meeting with top officials of foreign companies looking to set up shop and invest in Bacolod? BNEFIT Current President John Dave Duenas, CEO and Founder of Hybrain Development Corporation, prepares to meet a top healthcare information management (HIM) company with BNEFIT Officers as the SEDA Ayala in Bacolod, another potential locator. I am not sounding my own horn, instead I wish the public to understand that the very hard task of facing investors and convincing them to locate in Bacolod since 2004 has been made harder by the lack of data or the refusal of offices and schools to share data. This article is not a blaming exercise but an attempt to turn things in the ideal direction. In my heart, I feel it is a duty I must fulfill for my city the advocacy to bring more jobs to Bacolod – something I owe to the people of Bacolod and to myself. But the stress during these periods of due diligence conducted by international firms is immense. The stress mainly comes from avoiding saying something that will destroy the potential of your own city, the burden of trying to give the best available accurate data to investors from the most simple cost of electricity to the more complex questions about the skill sets of every graduate regardless of course. Here is a brief walk-through of what’s behind the scenes. Potential locators initially email a usually long list of questions that we have to answer in just a matter of weeks, even days. They request to meet various stakeholders and I curate the invitees according to the request of the investors. Oftentimes, I have to literally beg some school or government officials to join the meeting with investors. Some school heads would even scold me for giving them short notice, as if I also had a long notice from the investors. As the day of the visit draw near, questions become more complex, many of these questions are not even easy for any government agency to answer because of the level of data. On the day of the meeting, the ICT Council members (BNEFIT in the case of Bacolod) muster all our courage to face these investors coming from different parts of the world, we must be prepared for the hard questions, we must even be prepared to answer questions not only in behalf of Bacolod but in behalf of the Republic of the Philippines because the data that they’re asking is even national in scope. After the first meeting, the investor continually communicate and request for more data. Has anyone ever wondered how very difficult it is for us to face these investors on a regular basis for the last 14 years. We go from school to school, office to office to collect and request data and yet almost everyone is just so selfish or they just have no data or their data is disoriented or disorganized and unstructured. Has anyone ever wondered how difficult it is for us to meet the expectations of this investors in terms of data? Or even the nature of data requested. From number of colleges and universities graduates and courses classified into the kilometre radius from the city proper, number of training schools, and trainees, even specific skills attached to the courses, to cost of power, water, and connectivity, to crime rate and crime solution efficiency, to cost of living, to WIFI density, to available PEZA parks, hotels, to frequency of flights, incidence of natural calamities to cost of labor, to cost of services to even the number of graduates who watch international news, to the average age of Bacolodnons who can already surf the Internet. The questions just never stop. And more often than not, investors would call even in unholy hours to ask these types of questions. And yet while struggling to answer these questions, we struggle to collect the data. We try our best so that investors will decide to locate in our cities. I have spent sleepless nights trying to look at all the data that is available and trying to figure out how I would be able to fill the gaps, trying to find a way how to convince stakeholders to share their data and trying my best to show investors that we are ready with our facts and figures. And these are the things that all ICT councils in the Philippines are doing. This piece is for all ICT councils officials out there who experience the same struggle. Industry associations request from ICT councils to fill up so many forms for us to share the data with them – data that they will eventually might have to sell investors to recover their costs. It is sad to note that these associations and government offices look down on ICT councils which cannot submit enough data, but do they understand what we are going through with the very little resources we have? Even government offices ask data from us when they should have this data in the first place. This country has to wake up. Our heads are all in the clouds. Our public, private and academic leaders choose to be judgmental rather than collaborative, opinionated rather than open, suspicious in giving data rather than cooperative in achieving the goal. Our government agencies and media seem not to care about ensuring that they have correct data, they dish out these data to the public without understanding its importance to our city, our country. My dream is to see Bacolod become an intelligent city. And the Philippines become a country with intelligent data. Needless to say, data is power. And more so, data can do a lot of good. If you feel concerned and have some ideas, or if you hold a type of data which you think will help enhance our investment efforts in BNEFIT – please share. Or if you know a way to gather data fast – or if you wish to invest in big data – please help. Startups in Bacolod can use big data to create solutions for our problems. We can all become interconnected. Our solutions integrated. We will face the next 80 years of Bacolod with more boldness, more optimism – knowing we have data in our hand to chart the future.